What is it about religion that appeals to people? Why do religions and religious beliefs persist in the face of increasing secularisation, harsh criticism and even political persecution? Robert Hinde argues that it is not enough simply to criticize religion, we must understand it - not only how it causes so much conflict, but also how it brings comfort to many. Hinde, a distinguished scientist, draws on a wide range of psychological, developmental and evolutionary research to explore this fascinating question. 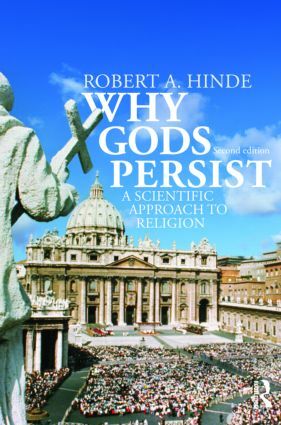 This second edition of Why Gods Persist is designed for everyone interested in the subject, either as a student of psychology and anthropology of religion or as a follower of the current controversies over the value of religious belief. What does it mean to say ‘I believe’? Why do religious systems persist?